Biofuels are sources of energy derived from renewable biomass which is considered as an alternative to fossil fuels such as oil, natural gas, and coal. The major concern to focus on novel technologies to develop biofuel is due to energy security in near future and mitigating the climate changes caused by fossil fuel burning including emission of greenhouse gases (GHG). The rising demand from developed countries for cleaner fuel and various regulatory mandates in European countries for the reduction of fossil fuel consumption will drive the market for biofuels technology and production. 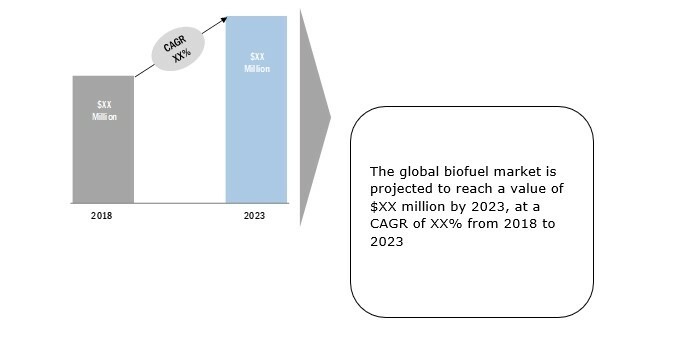 The rising demand for biofuel requires a sustainable source of biomass, technology conversion and other requirements of the biofuel value chain to determine overall costs and benefits in future. Over the period of two decades, the technology development has led to the application of first and second-generation biofuel (food crops, waste biomass) for commercial use in transportation, industry, heat generation in various applications. But third (algal derived) and fourth generation biofuel (based on synthetic biology/genetic engineering) are in R&D phases. The application of novel bioengineering technology for biofuel processing will not only reduce the cost of production of biofuel but will also help in reduction of bio-waste/emission, thus promoting clean energy development. The key exemplary players in the domain are ABENGOA BIOENERGY, IOGEN, CELTIC RENEWABLES, AGROETANOL AB, BP PLC, ADM, CARGILL, POET LLC, TEREOS SA, VALERO ENERGY, SOFIPROTEOL, XL RENEWABLES, ALGAE BIOSCIENCES etc. Note: Company Profiles on only 10 players will be provided.